Building Secure Data Sharing Applications. The founders of Harbor Light Software Inc, Bill Spain and Fran Karp, are no strangers to developing and deploying secure data sharing applications to work in "outside the box" environments. In 2003, Spain and Karp began work on a project to bring mission critical data to police officers working in the field via handheld phones and laptop computers. Working with the FBI and other state criminal justice organizations, Karp secured one of the first ever private partnerships with NLETS (www.nlets.org), the brain of the FBI criminal justice databases in the US. With Karp building and maintaining the secure network infrastructure utilizing the latest in wireless technologies and Spain building an easy to use and intuitive interface for the officers on the road, the pair quickly made this software the most widely used application for retrieval of real time FBI data in the southeast. While on a charter fishing trip, Karp noticed the Captain was using a pad and paper to record catch and effort data. The Captain was frustrated with the time consuming and antiquated system used to capture this important data. He explained there was a huge gap in the collection of accurate, real-time data within the fisheries industry. Critical management decisions such as the placement of offshore wind farms or catch regulations were being made with little or no data. This forward-thinking Captain envisioned the fishermen using handheld devices such as cell phones and tablets to collect both catch and effort and biological data on each trip. To make the transition from the collection and transmission of criminal data to fisheries management was easier than one would think. In the new software, the object of the data was no longer a 6'2" blonde hair, blue eyed felon. The data now focused on a 31" striped bass that was released undersized. Harbor Light's main goal was to make an intuitive application completely designed by the fishermen that would be using it. The result was FishNET, Harbor Light Software's first application to collect real time catch and effort and biological data electronically. 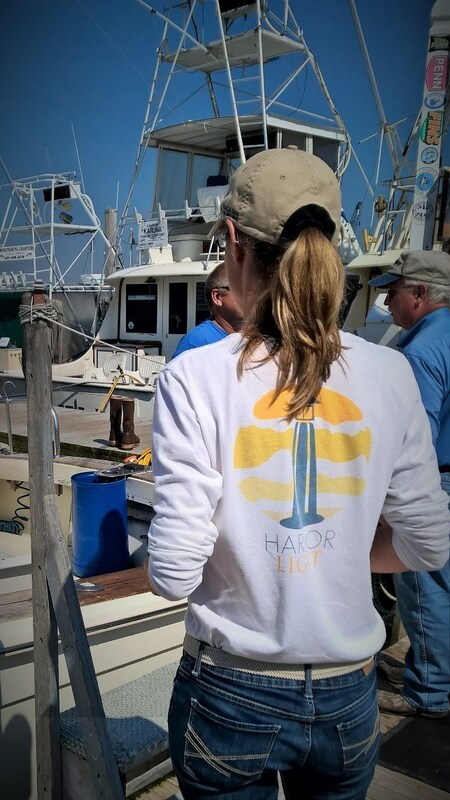 Maybe it was a fluke (pun intended), but Harbor Light Software began to grow from that first fishing trip and has expanded into many different parts of the fishing industry. From building cross-platform applications for harvesters and dealers that speak directly to the ACCSP data warehouse (www.ACCSP.org), to working with NGOs on mapping the oceans' uses, to electronically collecting data on lobster vent trap surveys; Harbor Light Software can do it all. Knowledge is power and having good, accurate, real-time data collection is what Harbor Light delivers. "I enter the details about the fluke as we're catching them. SAFIS eTRIPS/mobile even gives the GPS coordinates of where the fish was caught. We had to do all this on paper before. With the tablet, the captains can send all the details right away if they have Wi-Fi, or they can email it as soon as they get off the boat. Then it's done." Read the full article Tablets Improve Fluke Data from The Providence Business News.